Tell everyone where you stand! This comfortable six-panel hat is made from 100% cotton with six embroidered eyelets, a moisture-wicking sweatband, and open back with adjustable VelcroTM back strap. 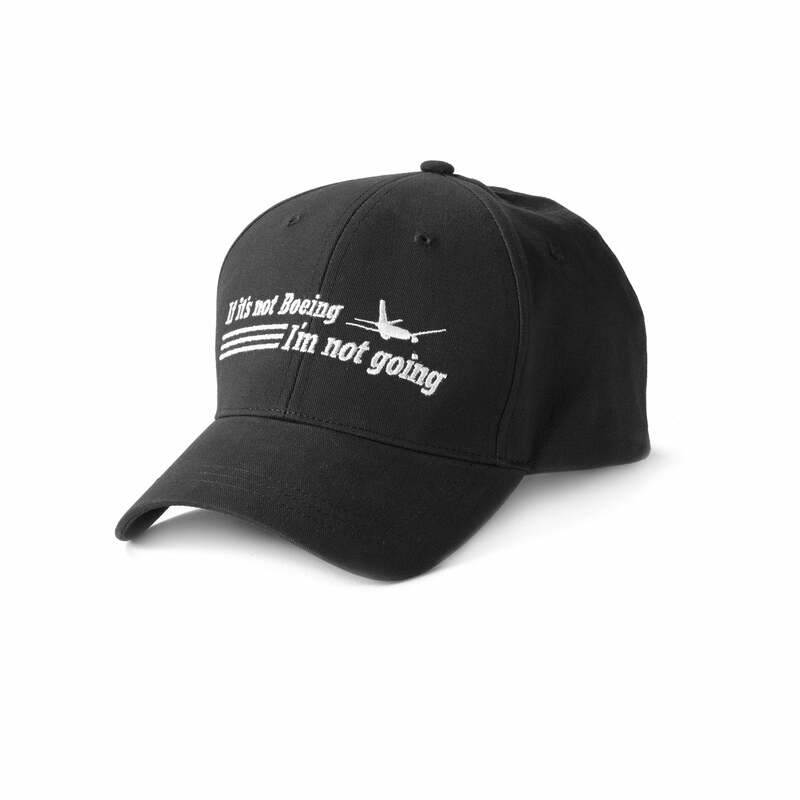 Slogan is embroidered on the front, Boeing logo on the back. Imported.